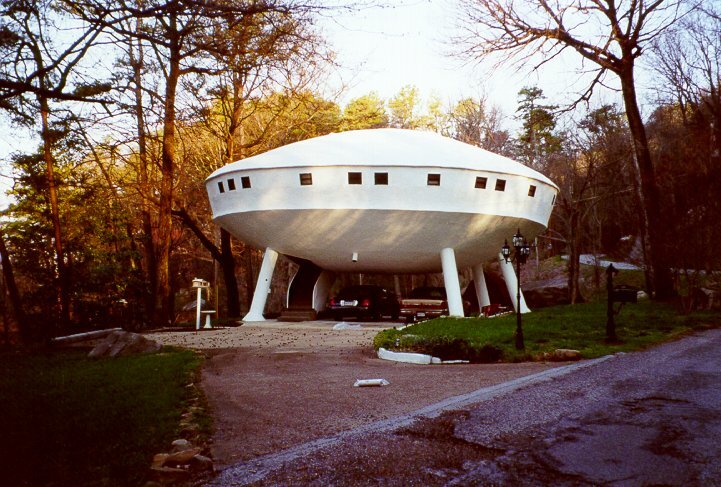 This picture made me think of a spaceship Thanksgiving, okay?! Tomorrow here in the States is our yearly Thanksgiving holiday, where we give thanks for the special people in our lives and the events that improved our year. While I’m thankful for many things – a wonderful girlfriend, amazing friends, gainful employment, and of course this blog – I thought I’d discuss which space games I’m most thankful for, and why. Freespace 2 – For still being the best space combat sim on the market, for constantly being updated with better graphics and new features, for Volition in releasing the source code, and for the passionate community that keeps it all going, Freespace is one of the Cinderella stories of space gaming. Master of Orion II – For still being one of the best turn-based 4X grand space strategy games ever made, and for being on every hard drive I’ve had since it was released so many years ago. Even though it’s getting close to two decades old, few games, if any have come close to beating its combination of accessibility, gameplay and variety. The Rules of Engagement Games – Whenever I think of fabulous, detailed capital ship combat, I think of the RoE games. These games made me feel more like a real starship captain – whatever that would feel like since there haven’t been any – than really any other game before or since. The detail of the universe, the wonderful combat and so on kept me playing these games for years. The Starflight Games – I don’t know how I COULD’VE FORGOTTEN two of my favoritest games ever, but I’m thankful for these games because they gave me a whole universe to explore — at least it felt like that — and gave me a sense of wonder and discovery that honestly hasn’t been replicated. So what about you folks? What space games are you thankful for? Have a wonderful holiday to my friends in the States! – Star Fleet I for showing me persistence doesn't end at the top of the stratosphere. – Elite for giving me infinite playability. – Wing Commander for letting me live out my Star Wars fighter jockey fantasies. – Privateer for showing me that there could be more to a space sim than lasers and missiles. – Master of Orion for giving me the grandest of grand strategy games. – Distant Worlds for showing me that space strategy was not dead, it was merely hibernating. Also, I loved Rules of Engagement + Breach 2. Fight ship to ship then board to fight man to man. It may not exactly fit the category but I'm a huge fan of the Mass Effect games. May be the closest we ever get to a Captain Kirk simulator. They are now that I mentioned them! Dude, now you're just screwing with my head. I even ctrl-f'd Mass Effect to make sure. Whu? Mass Effect and Mass Effect 2 are on the list. 1. Starflight series: My girlfriend at the time bought me this for the Amiga. She was off to an evening class and I promised I would make dinner after I poked about in the game while she was gone. Her class was a two hour seminar and I was so absorbed in Starflight that I didn’t hear her come in – literally. Suffice to say I didn’t cook dinner that night. She was very cool about it though, kissed me goodnight and went home at 10 PM. The next thing I knew, the birds were chirping and I had a class in 15 minutes. Good times! 2. Homeworld: What I wrote about this game for the contest is here and every word is true. 3. Elite series: David Braben and Ian Bell create this amazing vector graphics universe on the C64. The young’uns today would scoff at it of course, but, man, the game was nothing short of sheer brilliance. You know a game is addicting when the first thing you are trying to purchase for your ship is a docking computer. rather than better lasers. Oh, how many rage quits I had trying to dock at Diso. Then, Frontier: Elite II came out and was jaw dropping. Remember that this was back in the before times when the Amiga ate PCs with their pitiful CGA graphics for lunch. Landing on planets, seeing that 3D GALAXY, and hearing all that cool ambient space station noise was one of the most immersive things I had ever experienced in gaming at the time. I still fire it up on an Amiga emulator from time to time and I suppose it’s a bit of nostalgia, but, the game is STILL fun. When I can afford it, I’ll get Elite: Dangerous and I am hopeful that by then, landing on planets will be implemented. 4. This next one isn’t a game per se, but, it is THE most beautiful simulation of the known universe I have ever encountered. I’m talking about Space Engine. There is nothing to shoot and there are no “achievements.” If you saw Star Trek II: The Wrath of Khan when it was released and you were in awe of the Genesis planet sequence, then THIS simulation is your baby. When I say it is beautiful I mean it is at times tears in the eyes catch your breath beautiful and I wish I could upload a few images to prove my point. Space Engine has redefined the word immense. While I am impressed with the scale of Elite Dangerous it is literally less than a speck compared to the size and grandeur of Space Engine. The best part? It’s FREE! It weighs in at a paltry 850 MB. Everything that we have observed is astronomically correct. The rest is procedurally generated but still adheres to strict astrophysical laws. As an exercise, I started at Earth and maxed out velocity to see how long it would take to reach the edge of the universe. Now bear in mind that you can explore anything and EVERYTHING though it would be humanly impossible to do so.It’s TRULY a Sagan experience with literally BILLIONS of galaxies. Anyhow, I was traveling at speeds of giga light years per second. It took 15 minutes REAL TIME to reach the edge of the known universe. Yeah, it’s HUGE. Download it and experience something truly magical. 5. Freespace 1 and 2: No argument with Brian on this one. These are THE definitive space fighter combat games. 6. Spore: Yep, I am going to catch some feces for this one. But Spore was rushed out the door by EA and was a very good game despite the fact that Will Wright was not given time to realize his complete vision of the game. The game is a love letter to Star Trek, Star Wars, Dune, and The Hitchhiker’s Guide to the Galaxy. I love it and my only regret is that Spore was not permitted to attain greatness. Damn you EA! 7. Independence War 1 and 2: Moving into the big leagues with more of a capital ship feel. These games are brilliant, unforgiving, and rewarding as hell. 8. Rescue on Fractalis: Like the first Elite, this game was revolutionary. On the humble C64 this game featured a procedurally generated fractal planet and instilled a real sense of exploration and danger. It was and IS a miracle of programming when you consider that the C64 only had 38k of actual available memory. 9. SPAZ: It makes you laugh as it punches your face. ‘Nuff said. 10. Sins of a Solar Empire Rebellion: I love the game but what is so special about it is that the BEST Star Trek games in recent years come in the form of two different total conversions, namely Star Trek Armada III and Star Trek Sacrifice of Angels. 11. The Starfleet Command series by Taldren: A bunch of us used to play Amarillo Design Bureau’s Star Fleet Battles boardgame. It captured the feel of being Captain Kirk so perfectly but was hampered by a rulebook larger than most law libraries. When Taldren released Starfleet Command, it was Star Trek nirvana and tactically speaking, is still the best representation of Star Trek capital ship battles. 12. The X series (excluding X: Rebirth): Simply put, if you have never played these, you cannot call yourself a space gamer. Next story GoG NOW HAS STARFLIGHT 1 AND 2!!!!!!!!!!!!!!!!!! !